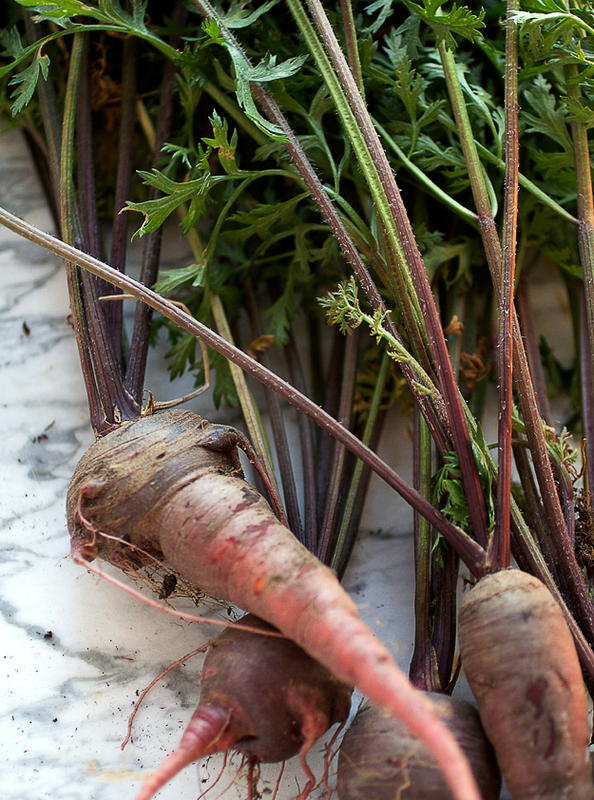 My garden is in full gear now and just today I harvested my first batch of Dragon Heirloom Carrots. 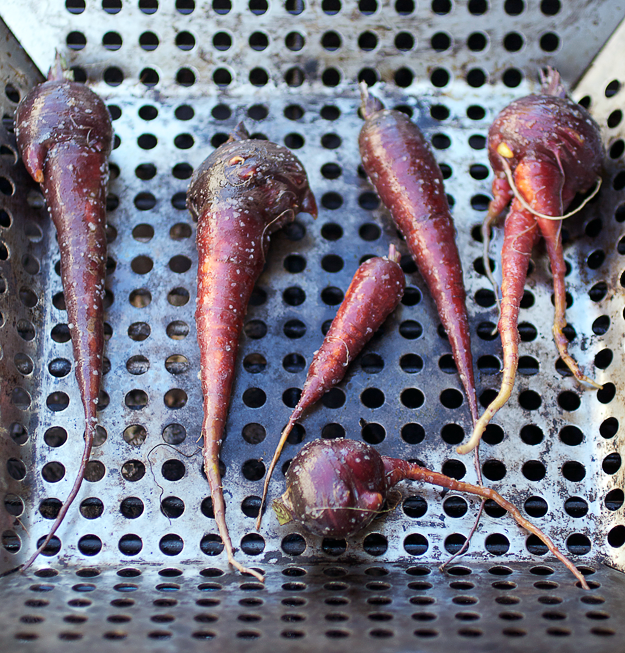 They look a little funky but looks don’t matter so much because these baby carrots were delicious. I knew exactly how I wanted to cook them: slowly roasted. Only, who wants to turn their oven on in the middle of Summer? My trusty grill did a perfect job. 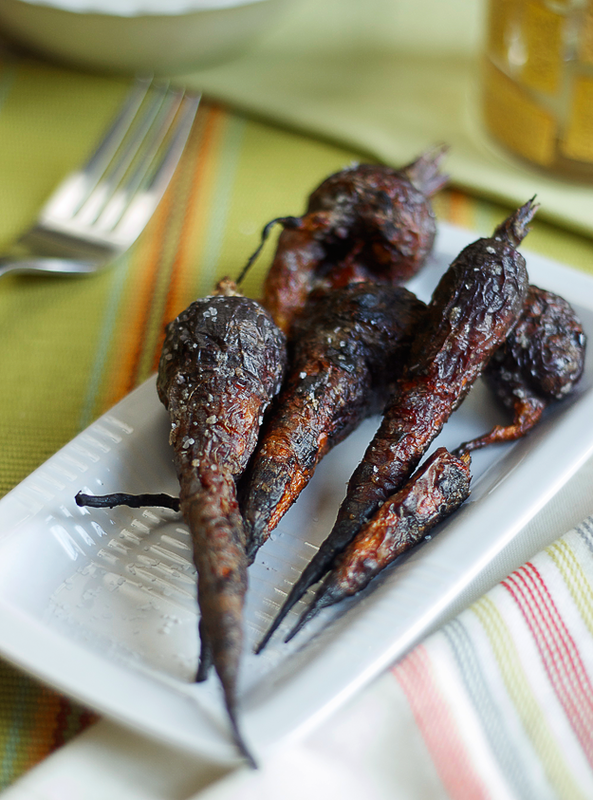 I just tossed the carrots in some olive oil and kosher salt and placed them on my grill under a low flame. Twenty minutes later….perfection! I have these exact looking baby carrots in my fridge right now and I'm going to try this. thanks everyone! I hope you try this recipe…it was yummy!